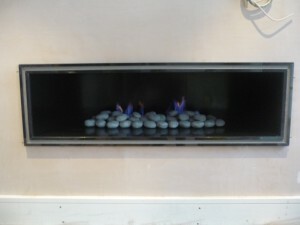 Hillhouse Interiors commissioned The Billington Partnership to build and install their own ‘design’ of fireplace for a client in Mayfair. 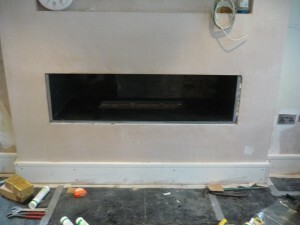 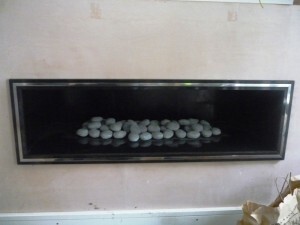 We had completed other hole in the wall fireplaces for their other clients but most of these were in limestone. 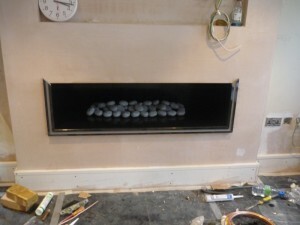 For this project they asked for the fireplace to be a black granite hole in the wall fireplace with grey pebbles. 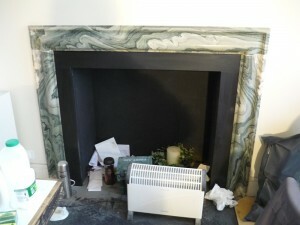 In addition it had a remote control. 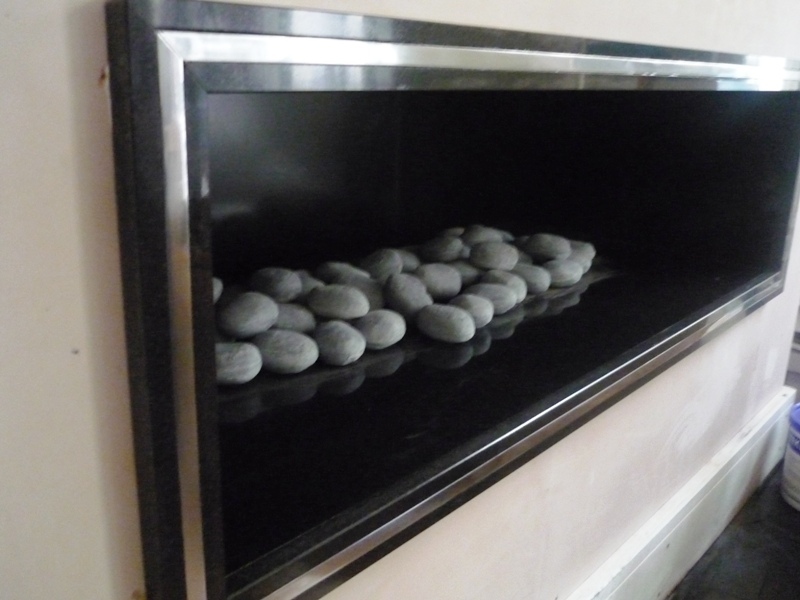 The end result was a stunning fireplace where the flame effect is reflected by the polished granite.